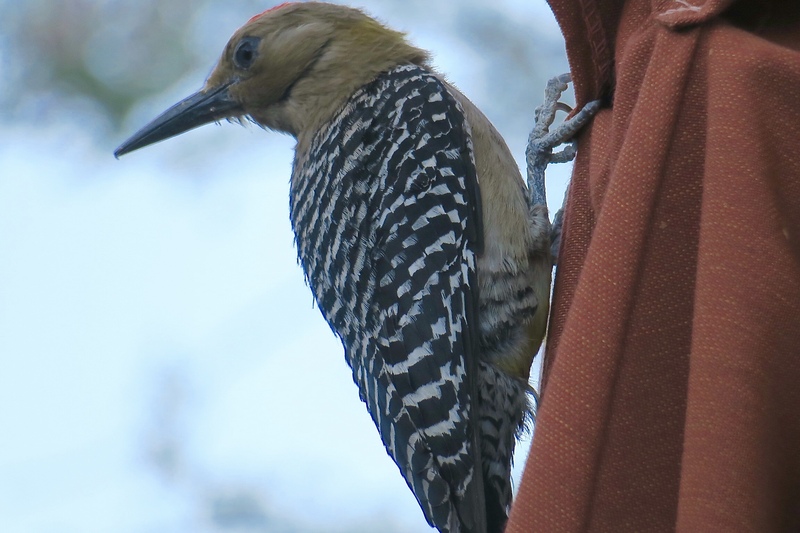 Throughout my stay in Scottsdale, the Sonoran Desert continued to surprise me as the home of a multitude of bird species including a few that really shocked me – let’s start with the woodpecker. 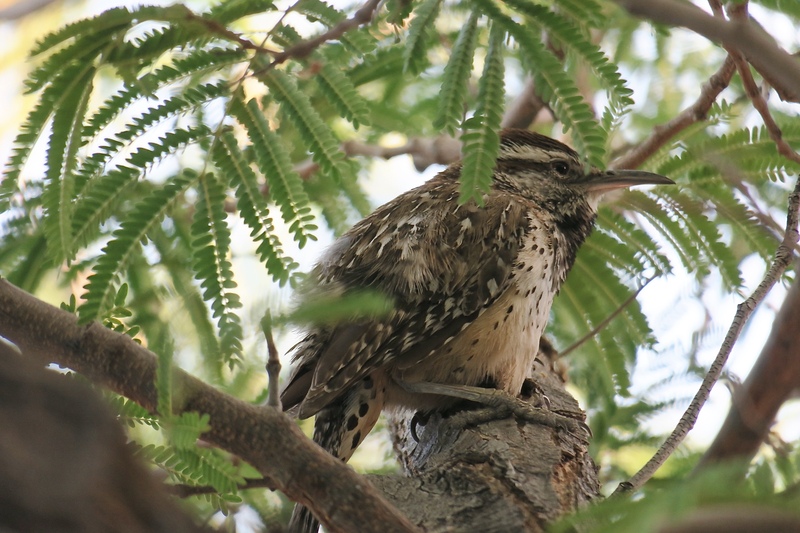 I assumed woodpeckers need trees to peck for insects and there is definitely a dearth of trees in the desert. 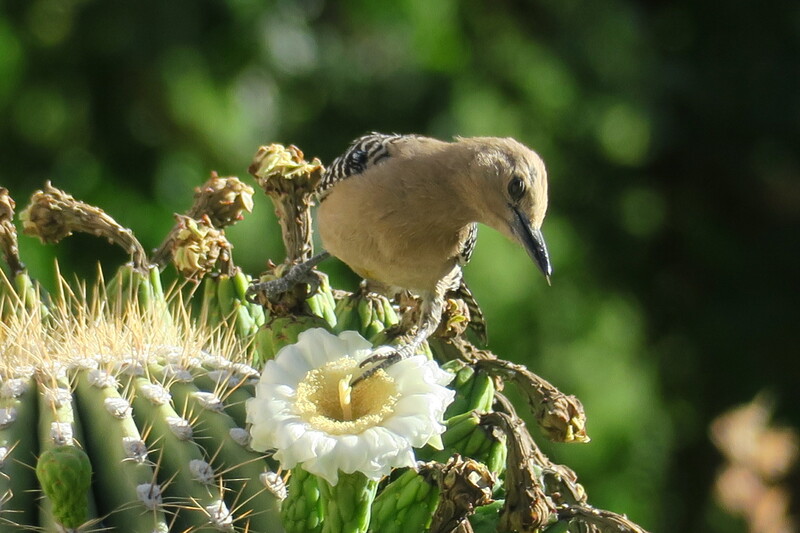 But there are cacti. I will explain their importance below. 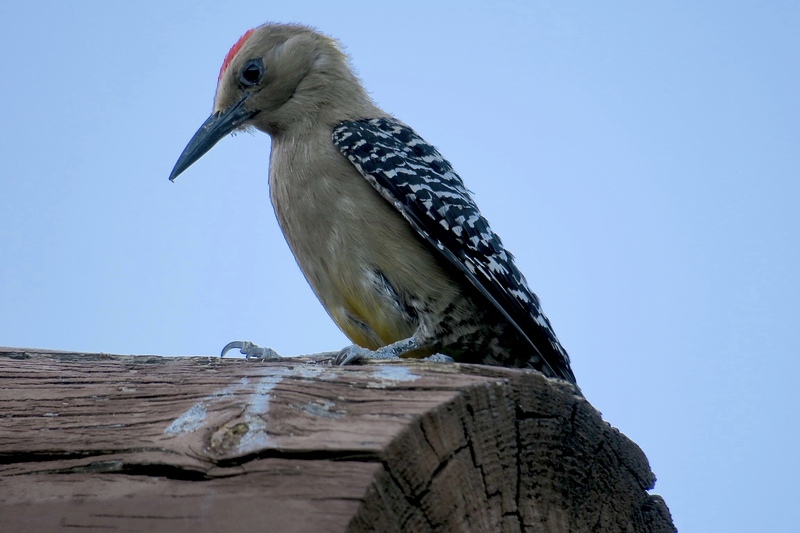 There are a number of woodpecker species found in the Sonoran Desert area including the state-named Arizona Woodpecker as well as the Gila Woodpecker. 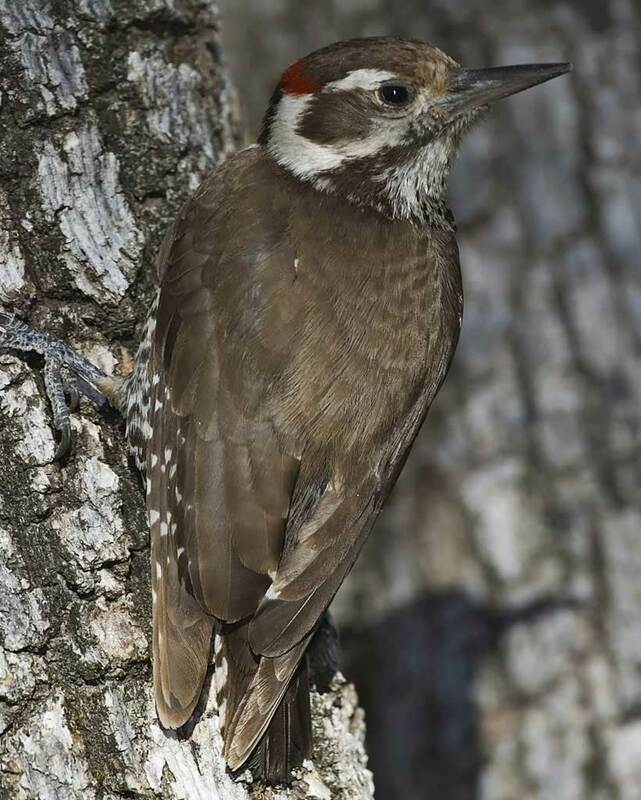 ARIZONA – This woodpecker has the distinction of being the only brown-backed woodpecker in the United States. 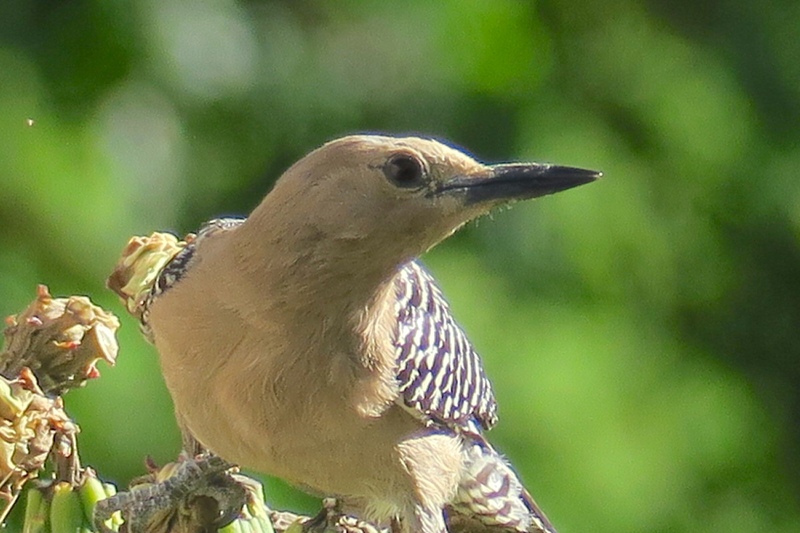 It can be found in mid-elevation pine oak woodlands in Southeastern Arizona but it is actually another Mexican bird that has crossed the border (you can read about another bird immigrant, the Northern Beardless Tyrannulet, here). 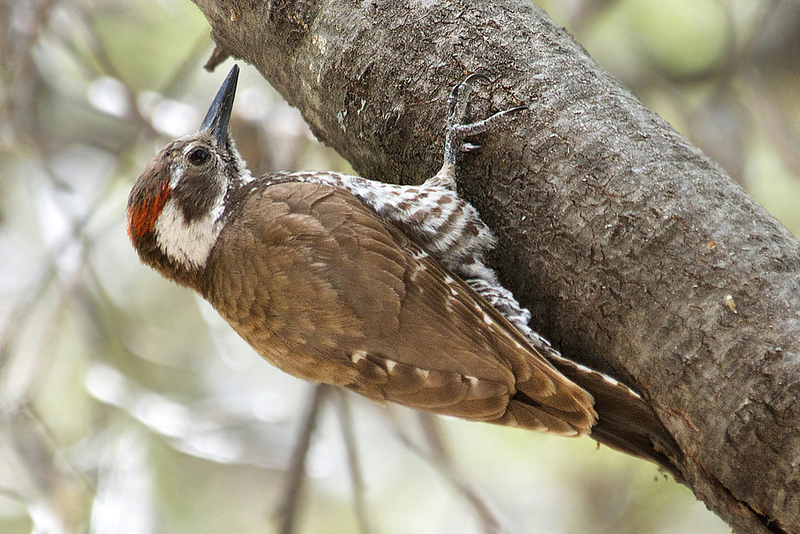 The Arizona woodpecker is medium-sized and mostly eats insects and wood-boring beetle larvae. 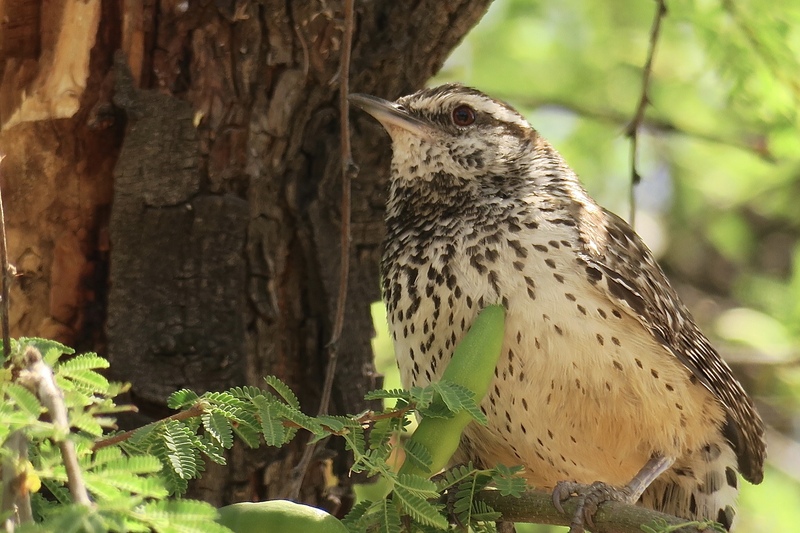 To supplement its diet it also consumers berries and small fruits. 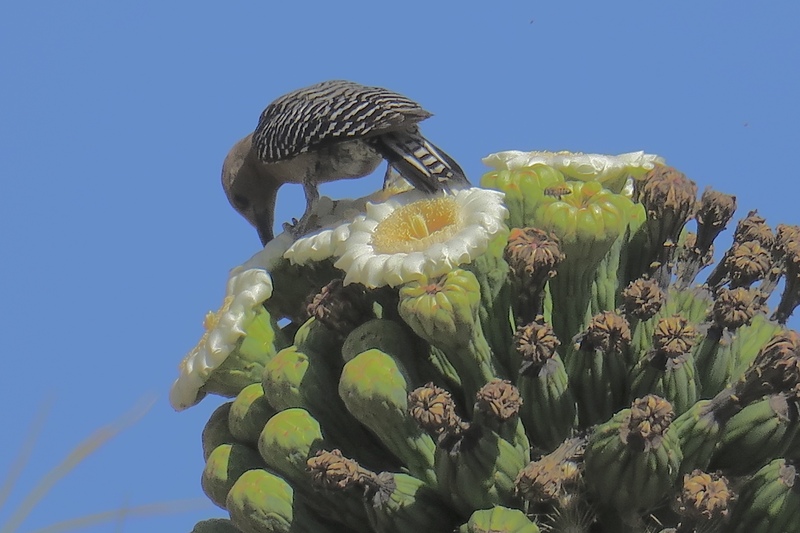 Instead of foraging for nesting materials, a mated pair of Gila will bore a hole in a saguaro. 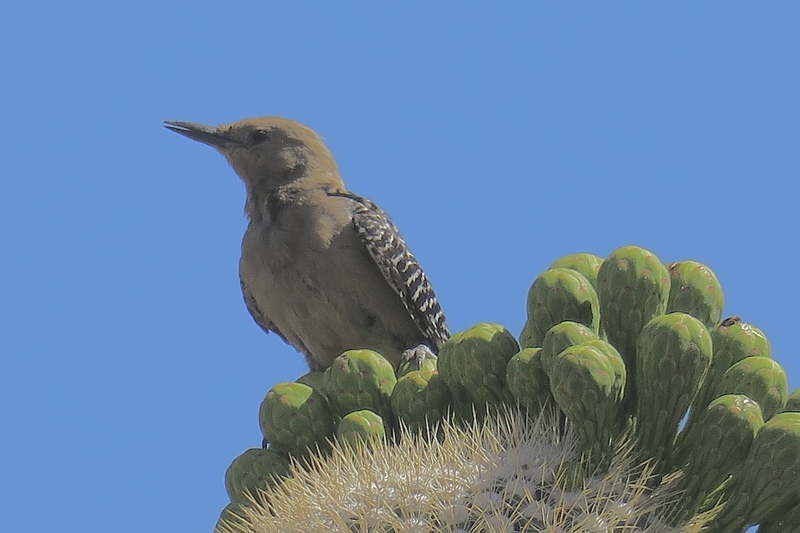 It then takes a few months for the nest to be ready as the pulp of the cactus dries to form solid walls around the hole. 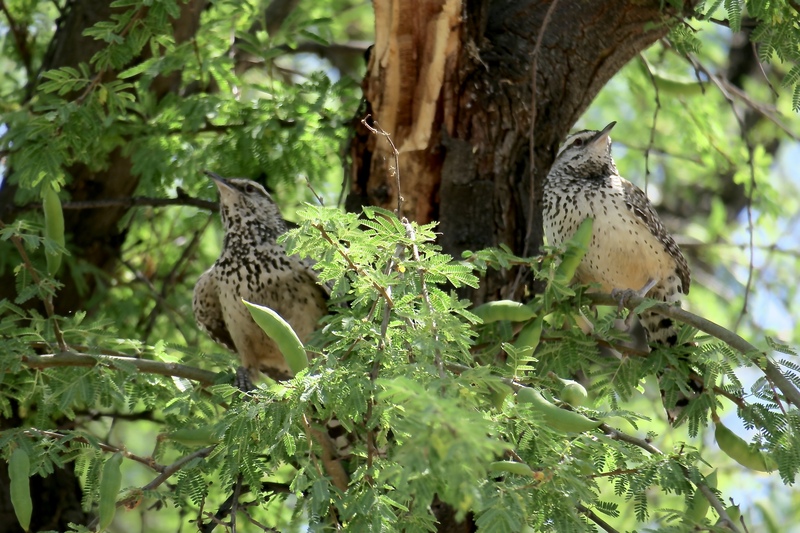 Gila Woodpeckers are excellent builders and their abandoned old nests are often reused by other birds. 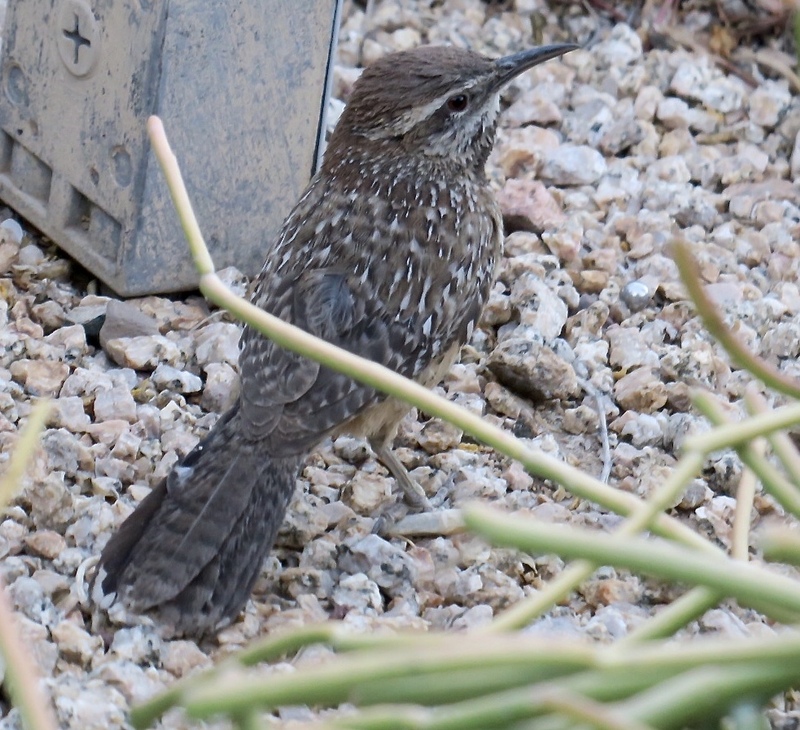 Up next, I travel from the Sonoran Desert of Arizona to the high elevation alpine and aspen mountains of Colorado. 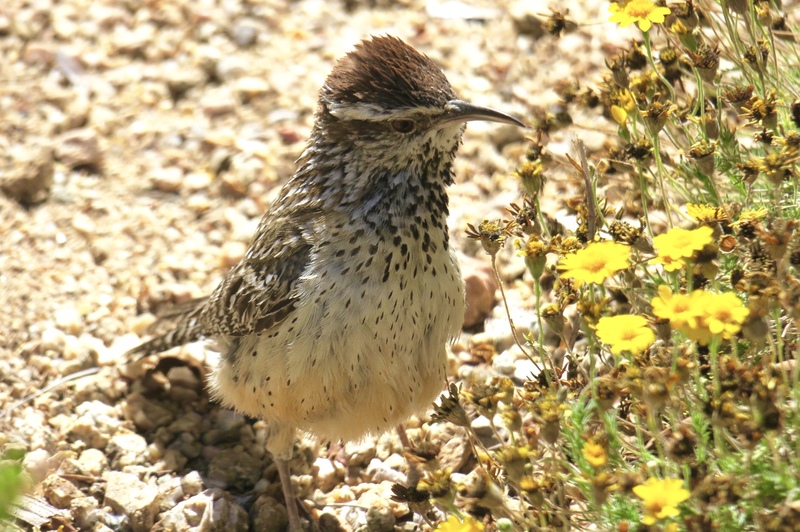 This entry was tagged ARIZONA, BIRDS, BIRDWATCHING, NATURE, PHOTOGRAPHY, SCOTTSDALE, SONORAN DESERT, TRAVEL. Bookmark the permalink.